Austin graduated with honors from Marymount Manhattan College and received a BFA in Dance Performance with a concentration in Jazz. While in college, he had the opportunity to perform works by many different well known choreographers such as Stephen Petronio, May O'Donnell, Benoit-Swan Pouffer, Lar Lubovich, John Butler, Pedro Ruiz, and Shen Wei Dance Arts. Austin was also a dancer in a study and filming of Twyla Tharp's The One Hundreds conducted by Twyla and members of her former company and was part of the Marymount Dance Company. Professionally, Austin has performed with companies in Vegas, NYC, LA, Orlando, and abroad. He served as a dancer and aerialist as well as the dance captain and company manager for Holland America Cruise Line for 5 years. There he performed shows created by Stiletto Entertainment and RWS Entertainment Group, and was part of the inaugural and finale cast of BBC Worldwide's Dancing With The Stars @ Sea. Austin's theme park credits include Dance, Dance, Dance: America! at Hersheypark under RWS Entertainment Group, Beauty and The Beast: Live On Stage (swing) with The Walt Disney Company at Disney’s Hollywood Studios, and Cedar Point's Luminosity: Ignite The Night (workshop) under RWS Entertainment Group. Austin's industrial credits include American Eagle Outfitters under The MadHouse Productions, NY Sports Club under “Johnnie P” Paolillo, Fairmont Hotels under Latshaw Productions and was the choreographer and dancer for singer Anne Steele and RSVP Vacations. He also served as the Lead Production Assistant for the 2015 and 2016 UPMC Hillman Cancer Center Gala- A Future Without Cancer. As a teacher, Austin taught hundreds of guests of all ages and nationalities onboard cruise ships how to Jive, Salsa, Waltz, Tango, Foxtrot, Samba, Rhumba, ChaCha, and Swing. He has many years of experience teaching all styles of dance at studios around the country and has adjudicated at numerous regional dance competitions. 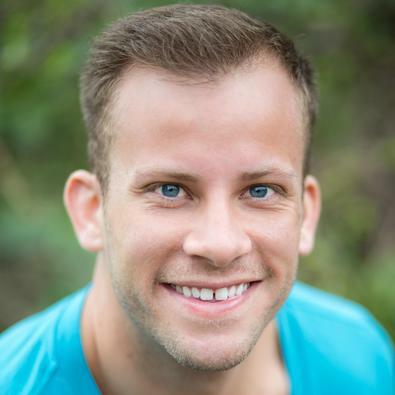 Austin is a member of the Cecchetti Ballet Council of America and Acrobatic Arts holding teaching certifications from both organizations. Most recently, Austin performed in the Las Vegas show Legends In Concert produced by On Stage Entertainment!